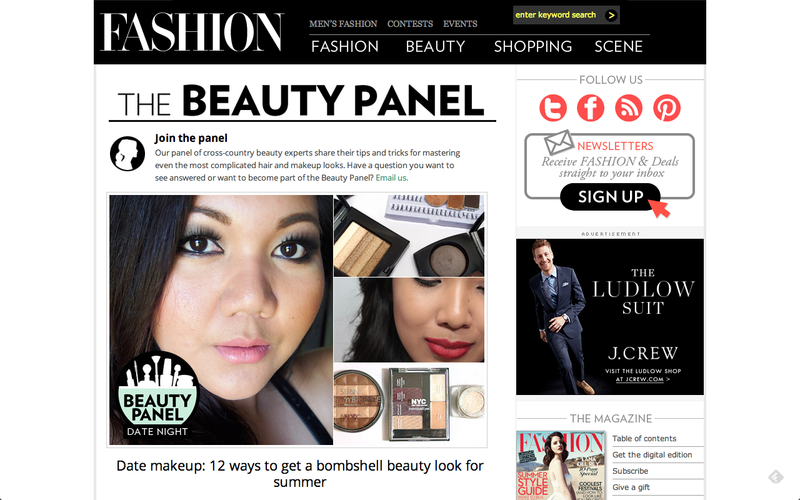 Last week's Beauty Panel post was all about creating a summer bombshell beauty look. As with any makeup look, I like to keep things simple. The lips are usually the statement piece of the look. You can never go wrong with a bright red lip, which I did here (using MAC's "Ruby Woo" with a Prestige lip liner in "Adore"). 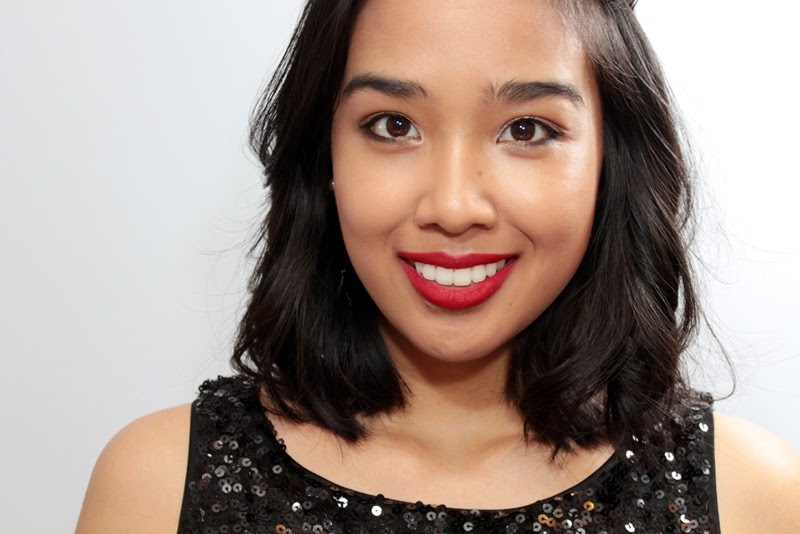 Or perhaps a bright pink or an amplified coral lip for those fun summer nights. The eyes are simple. I went for a glittery bronze smokey look. I've been loving the Maybelline Color Tattoo in "Bad to the Bronze". Cream shadows are great to have because they're so easy to use. I blended the crease with a matte brown shade from L'Oreal's Hip High Intensity Duo in "Shady" and then I patted some glitter using Urban Decay's "Sidecar" from the Naked 1 Palette. Lastly, I added a slight cat eye using a jet black gel liner. For the face, I have a bit of The Balm's Mary Lou-Manizer as a highlight and MAC's Blushbaby on the cheeks. 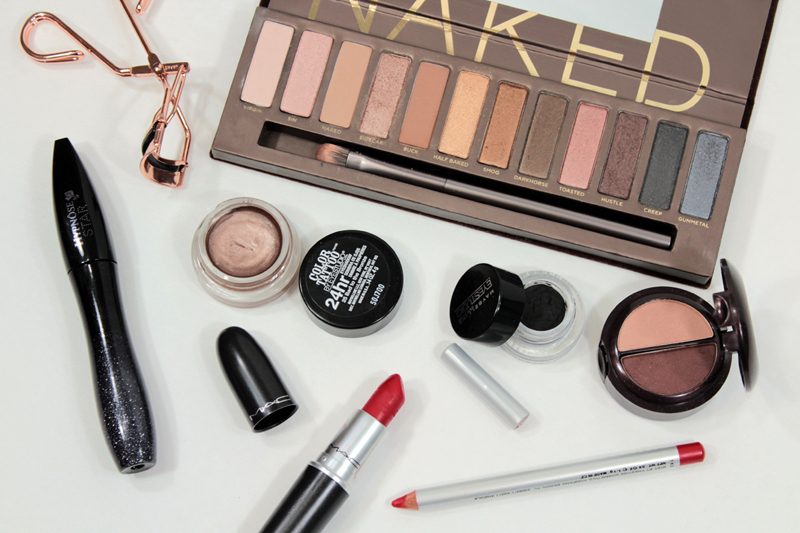 What are your go-to products for that summer bombshell beauty look? Whoa this is such a gorgeous look on you. The lips are a lovely contrast to the eyes! You are definitely my kind of makeup girl, seems like we choose very similar interpretations of "bombshell". 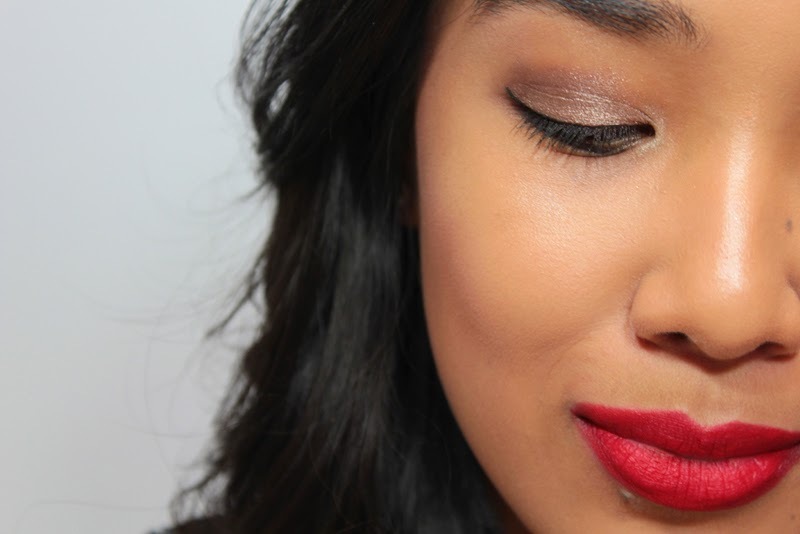 The combination of glittery bronze and red look really classic on you! STUNNING make up!! I love the lipstick with the eyeshadow, they compliment each other nicely. Congrats on beauty panel! Beautiful look!